Prescription drugs refer to those drugs that can only be received from a licensed medical practitioner. They include all manner of substances that, because of potential dangers, are regulated and monitored closely. Prescription drugs are a significant part of our nation’s healthcare expenditures. According to the Department of Health and Human Services, prescription drug spending in 2015 topped $457 billion in the United States, or roughly 17 percent of all healthcare expenditures. Most prescription drugs are used correctly and not abused. These drugs treat cancer, heart disease, diabetes and many other conditions. They are a vital and important part of the United States healthcare system. Americans are also avid users of prescription drugs. Americans make up 5 percent of the world’s population yet use 75 percent of the world’s prescription medications – and the vast majority of this use is legal. That being said, prescription drugs are commonly abused – and such abuse has been termed “an epidemic” in the US. Certain prescription drugs carry a greater risk of abuse than others. These drugs, belonging chiefly to three medical classes, pose dangers for those who abuse them. The problems surrounding the abuse of prescription drugs are significant. Every sector of society, in every state, has been touched in some ways. Nearly one in five Americans has abused some form of prescription drug at some point, and this number has risen steadily during the last three decades. After alcohol and marijuana, prescription drugs are the third most commonly abused class of drugs, ranking higher than substances like cocaine or heroin. Nationwide, overdose deaths from prescription drugs have quadrupled since the 1990s, according to the Centers for Disease Control and Prevention. In 2013, drug overdose became the leading cause of injury death in the US. In 2014, more than 47,000 people died from drug overdoses, or an average of 125 Americans each day. According to the FDA, more people die from drug overdose than from homicide or traffic accidents. Oftentimes, legitimate prescription drug use can turn into abuse. In West Virginia, for example, a high percentage of people currently abusing prescription drugs began as legitimate users, often following a workplace accident. West Virginia, like other Appalachia states, has a large number of blue-collar workers who often work in potentially dangerous fields, such as mining or construction. A person might get a prescription for Percocet or oxycodone following an injury and initially take the medication as prescribed to relieve pain. Over time, a tolerance may develop, and the person may begin taking a larger dose to feel the drug’s effects. Any deviation from the prescription’s instructions constitutes abuse. Once people begin to take higher doses, they may be more likely to alter the medication in some way (such as crushing it to bypass extended-release formulations) or combine it with other substances, like alcohol. Some people simply begin using prescription drugs recreationally. They may take pills left over from a legitimate prescription, or they may obtain pills from friends or family members. These individuals don’t have a valid need for the medication; they are simply taking it for the euphoria and calm that often accompany with use. Per NIDA, teenagers are particularly vulnerable to recreational use of prescription drugs. Many teens begin abusing prescription drugs that they take from their parents’ medicine cabinets. Abuse of prescription drugs – particularly opiates and benzodiazepines – can lead to addiction quickly. Since prescription painkillers are opiates, they come from the same family as heroin and have a very high addiction potential. Oftentimes, those who abuse prescription painkillers eventually progress to using heroin due to the similarities between the drugs and the cheaper cost of heroin. Per NIDA, 80 percent of people who are addicted to heroin first abused prescription drugs. 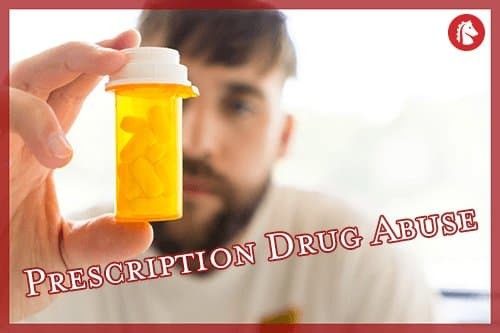 Many who abuse prescription drugs mistakenly believe them to be safer than “street” drugs like heroin or cocaine because they are initially prescribed by a doctor. 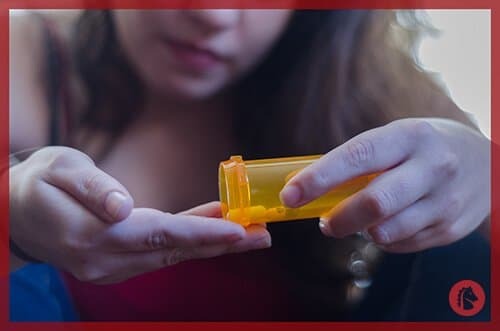 While prescription drugs have valid uses and are generally safe when used as prescribed, they can be incredibly addictive, leading to a wide range of health issues. While some individuals may not show many outward signs of abuse, most people exhibit some indications that should trigger further consideration among friends and loved ones. Physical signs of opioid abuse include drowsiness, confusion, a slowed breathing rate, and euphoria. Physical signs of benzodiazepine abuse include slurred speech, poor concentration, and memory problems. Physical signs of stimulant abuse include insomnia, anxiety, and paranoia. How Do People Stop Abusing Prescription Drugs? While prescription drug abuse can lead to significant health, career, relationship, and financial repercussions, full recovery is possible. 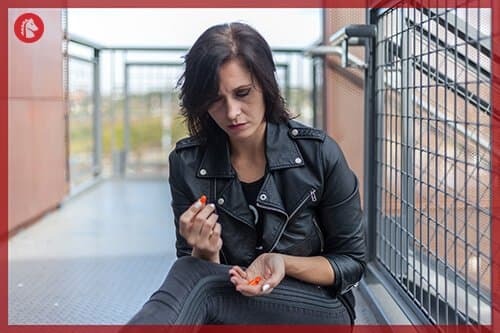 Addiction is a chronic disorder, so there is no “cure” for the disease; however, it can be managed with comprehensive and ongoing treatment. Medical detox is often the first step in the treatment process. Withdrawal from certain substances, such as benzodiazepines and opiates, can be quite uncomfortable and even unsafe. As a result, medical detox is always required, and individuals should never attempt to stop taking these substances suddenly on their own. Professional rehabilitation programs begin with a full assessment where medical professionals will assess if medical detox is needed. If a person was taking prescription drugs to manage a physical or mental health disorder, doctors will assess the best treatment plan going forward. In some instances, clients may be switched to a different medication with less abuse potential. In other cases, alternative treatments, such as massage, physical therapy, or acupuncture, may be employed. After detox, the bulk of addiction treatment takes place in the form of therapy. In both individual and group therapy, clients explore the reasons behind their prescription drug abuse. The specific program of care is catered to the individual, ensuring that treatment addresses the individual person’s progress in recovery. Aftercare is a key component of any successful recovery program. Prior to completion of a formal addiction treatment program, the treatment team will help to devise an aftercare plan for the client. This plan may consist of ongoing therapy sessions, attendance at 12-Step meetings, and meditation or yoga classes. The client and treatment team work on the plan together to ensure it meets the client’s needs on various levels, providing the support and structure needed for a successful long-term recovery.